I could not help writing in the booklet that this is one of the most original, courageous and spectacular projects I have ever produced. There are probably dozens and dozens of solo bass recordings. What is so special about this one? The idea comes from the Joseph Beuyss' work "A One Hour Drama", where a bottle is being filmed for one hour, revealing the breath of the cameraman. 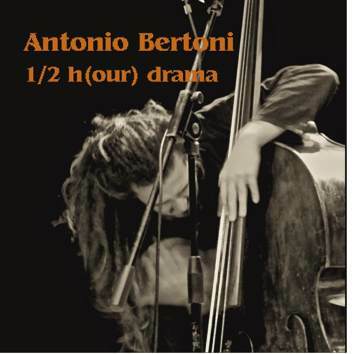 Antonio Bertoni creates an incredible, indescribable tension by the ever-changing repetition which forms a flow of energy without any constraints or limits. A continuous becoming.